The reverse design by Canadian artist Claudio D’Angelo presents a dominating eagle, its stunning wings spread wide as it is viewed in full-body profile from its left side. 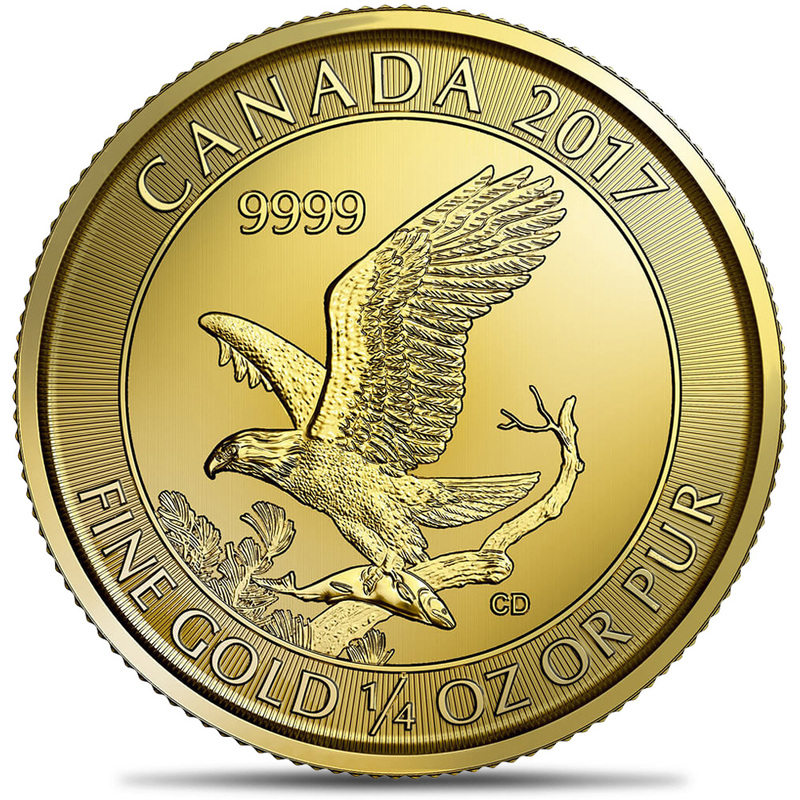 The Royal Canadian Mint engravers have lent additional beauty to the artistry of the original design; the finishes on this coin really emphasize the beautiful and powerful features of the eagle, bringing the intensity of the moment fully to life. 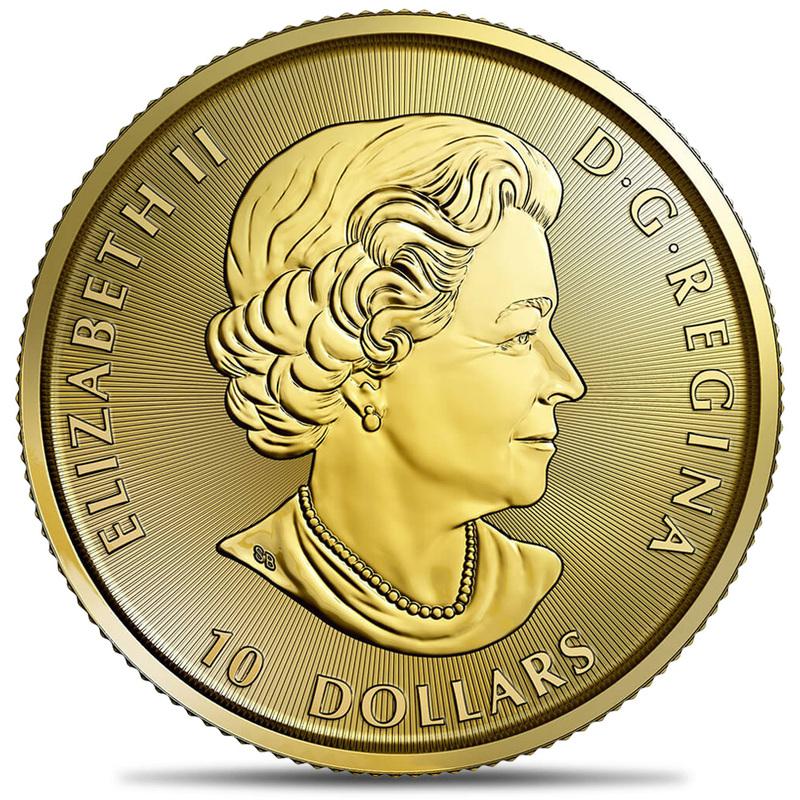 Precisely machined radial lines to within microns creates a unique line width and pitch that gives this coin a characteristic look, and creates a light diffracting pattern specific to this coin. Rendered in exquisite detail by Royal Canadian Mint engravers, this coin celebrates the Eagle.